You pays your money… and you takes your choice! 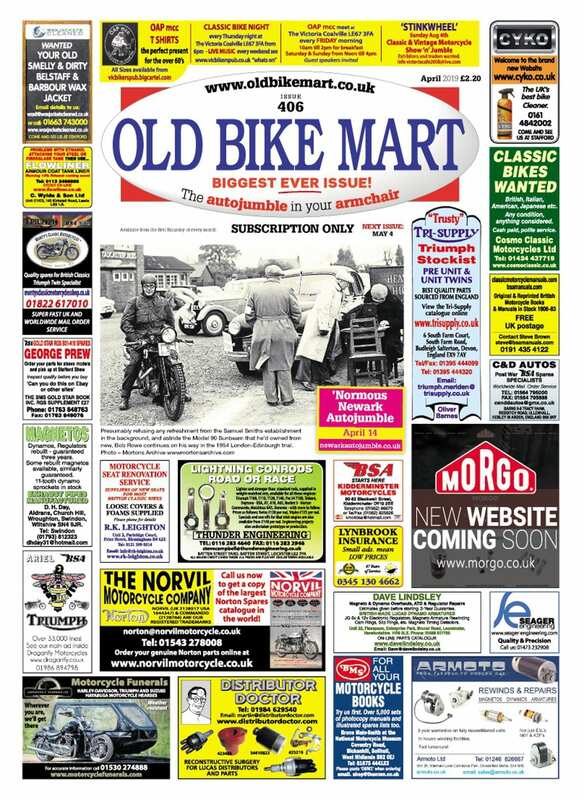 Pete Kelly rifles through Mortons’ Archives and turns up the following road test reports, from 1958 and 1960 respectively, which show how the motorcycle press of the day rated Royal Enfield’s 496cc Meteor Minor de Luxe parallel twin and 499cc Bullet single. 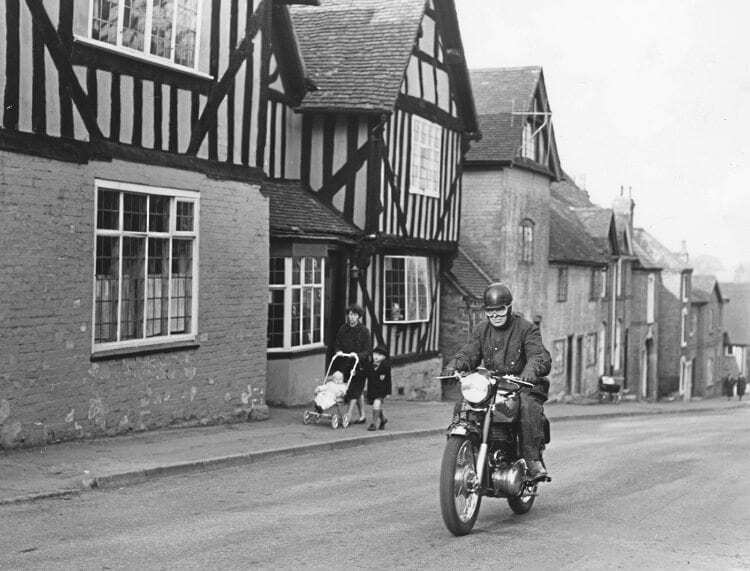 Motor Cycling’s Bernal Osborne rides the Bullet along a quiet village street in the spring of 1960 – how different it all was then! Fifteen years ago, a fellow journo piecing together a similar comparison came up with the ace headline ‘One thump or two?’. Oh, if only I’d thought of that one! 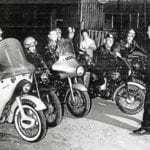 From the pages of The Motor Cycle dated June 26, 1958 and Motor Cycling dated May 5, 1960, this month’s archive feature compares the road tests of the 496cc Meteor Minor de Luxe twin and the 499cc Bullet single respectively – and the overall performances were a lot closer than you might think. The history of the Meteor goes back to 1949, when Royal Enfield came out with its own version of the parallel twin. The plunger-framed model was the forerunner of a range of twins which included the larger capacity Super Meteors and Constellations, and culminated in the mighty 750cc Interceptor. 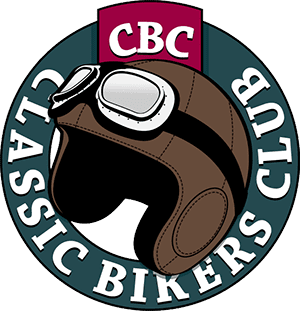 The Bullet name for the 350cc and 500cc singles was first coined in 1932, but the first Bullet to bear any similarity to the one Motor Cycling tested in 1960 was the G model of 1935. We’ll start our ‘twin v single’ comparison with The Motor Cycle’s 1958 account of the Meteor Minor de Luxe which had been announced just two months previously. One of a trio of new high-performance twins, it had many features in the established RE tradition and those that were new or nearly so. “Among those in the first group,” wrote the road tester, “are the use of separate iron cylinder barrels with heavily-finned light-alloy heads; a one-piece cast-iron crankshaft; a half-gallon oil compartment formed integrally with the crankcase; a four-speed Albion gearbox bolted to the rear of the crankcase; and a vane-type cush drive in the rear hub.” There was also as transmission shock absorber in the clutch centre. The lightweight welded tubular frame, rear chain enclosure and 17in wheels had been confined previously to the popular Crusader models, but the siamesed exhaust pipes, scissor-type clutch control mechanism and 7in diameter front brake in a full-width hub broke new ground. The reviewer remarked on the relatively low 29½in seat height afforded by the smaller wheels, but felt that the seat edges, which tended to dig into the legs, could have been more rounded. Steering was pleasantly light and positive, and riding the Meteor Minor to a feet-up standstill was child’s play. The generous steering lock gave a 15ft turning circle, and while stability on greasy surfaces was of a very high order, the pitching of the rear suspension gave the bike a tendency to weave on fast, undulating corners. The 70 x 64.5 bore and stroke of each cylinder was identical to the Crusader’s, but there the similarity ended. “In external appearance, the unit is a scaled-down version of the 692cc Constellation engine, which in turn is based on that of the Super Meteor,” wrote the tester. 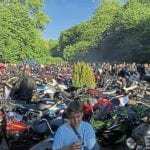 “Starting proved to be simple and reliable – throttle set as for fast riding, air lever closed and carburettor tickled moderately. The kick-starter is fairly low geared, so little effort was required to swing the engine over compression, and the unit usually came to life at the second kick. A first-time start without any preliminaries was the rule when the engine was warm. On the open road, the engine cheerfully undertook any amount of hard work without tiring. Under average conditions, use of half-throttle gave an indicated speed of about 75mph. 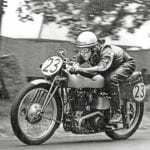 At up to 60mph in top there was a pleasing absence of vibration; at 70mph it was perceptible but not objectionable; but from 75mph it could be felt through the dual seat – the one drawback of the parallel twin. The usual term “adequate at normal speeds” damned the headlamp with faint praise, but the deeply-valanced mudguards (how I hate the word ‘fender’) kept lots of road muck off the rider. The highest one-way speed recorded at the MIRA proving ground was 97mph, with a terminal speed at the end of a standing-start quarter-mile of 76mph, and a fuel consumption of 85mpg at 30mph and 58mpg at 60mph. With purchase tax added, the price in 1958 was £274 9s 0d. Now for the 1960 499cc Bullet which, with lashings of chrome in the Royal Enfield tradition of the time, was a very handsome machine indeed. 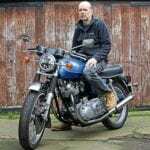 “So long as the British motorcycle industry continues to produce machines of the calibre of the current Royal Enfield Bullet,” began the road tester, “there is no need to debate upon ‘the survival of the single’. The Bullet has indeed survived – right into the 21st century – but of course it is no longer made here, but in Chennai, India (which only a few weeks ago was suffering from terrible floods). All this combined to give some impressive MIRA figures, including a top speed of 91mph and fuel consumption of 114mpg at 30mph and a 500-mile average of 74mpg. “The valve-timing arrangements, combined with the not-too-harsh compression ratio of 7.3:1, made kick-starting a straight-forward job,” wrote the tester. “A reasonably well-flooded carburettor (tickler very accessible) and air lever in the closed position produced the right kind of ready-starting mixture. The ‘valve-lifter’ (actually a decompressor) was there to be used, and if the obvious drill was followed there was never trouble in getting the engine to fire at the second or third try from cold. He was also impressed by the clutch, which was light yet positive in action, freed without leaving any trace of drag and no amount of hard work during the MIRA acceleration tests caused fatigue. 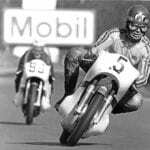 The speed at the end of a standing start 1000 yards was 79.98mph one way and 84.75mph the other – excellent figures for 1960. He praised the Bullet’s accessibility for routine maintenance, with easy-to-replenish oil filler points, and work on the tappets being made at the base of the push rods (where the cover came away without tools) rather than being a clearance adjustment at the rockers. The distributor head, positioned where the earlier magneto used to be, had a clip-on cover, and although the coil, battery and air cleaner were all concealed, none was difficult to get at.